When we think about Kylie Jenner lip kits, what words come to mind? Perhaps luxurious, expensive, and good quality? I learned the hard way that the “good quality” claim is far from the truth. 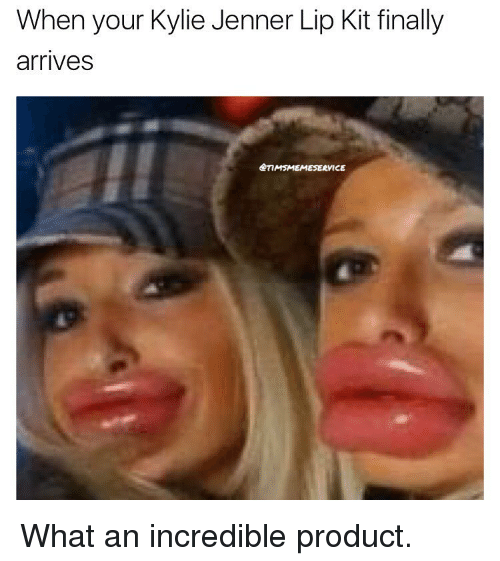 Customers spend $29.00 on a lip kit, and with that price the quality is presumed to be up to par and composed of the finest and healthiest ingredients. I had to be hospitalized because of the subpar ingredients in the Kylie Jenner lip kits. I, being an avid beauty enthusiast, wore the lipsticks every day because of how eager I was to try them. And to reveal, for myself, if the outrageous hype and the ridiculous effort it took to receive these lip kits were, in fact, worth it. It started out with a migraine, then a fever, followed by nausea, all turned into overall weakness. At first I did not think anything of it, until I went to my doctor, got a blood test, and learned that my white blood cell count was terrifyingly low. It was reassuring to know that any type of illness, even as mere as a cold, would have wiped out my immune system and could have killed me. Guess who was stuck in their room for a month (over summer break), this lucky girl! With research, and long hours determined to figure out what the cause was, I discovered that the ingredients in the Kylie Jenner lip kits, specifically Orange 5, was the culprit of my severe health problems. Orange 5 is produced from petroleum that has a moderate overall hazard rate, and high United States restrictions. The FDA banned this ingredient and found it unsafe for use in cosmetics. Ok, Kylie Jenner. I guess being a Kardashian in today’s world constitutes the right for her to use banned ingredients and sell these harmful cosmetics for a high price. This ingredient, as stated by the FDA, is expected to be harmful and toxic, and suspected to be an environmental toxin, specifically a bioaccumulative. It was this that led to bioaccumulation--the accumulation of chemicals into an organism that leads to the absorption of toxic substances at a high rate--which leads to chronic poisoning. Who knew spending an obscene amount of money, and a great deal of time trying, to purchase a Kylie Jenner lip kit would result in the accumulation of toxic substances, send me to the hospital, and almost kill me. 30% or more of a single lipstick ends up in our stomach. Before you take the plunge, ensure every single ingredient in the product is suitable for our bodies. And don’t assume that just because it is expensive, well-loved, and from Kylie Jenner, that it guarantees satisfaction and safety. Before you apply, check the ingredients. Take it from me!